Heartworm disease is a life-threatening illness that affects both dogs and cats. It is caused by worms that remain active in the right side of the heart and other neighboring blood vessels. It needs to be noted that the adult worms can grow up to 30 cm in length. Heartworms are caused by mosquitoes. That means that even if your furry pal does not come in contact with other animals, they can still have the parasite transmitted to them. A mosquito bites the animal and he/she gets infected, resulting in passage of immature worms, i.e. ; larvae or microfilaria to the pet. It takes six months for the larvae to transform into adults that reside in the heart and neighboring blood vessels. The problem is that these heartworm produce more larvae and the cycle goes on. Dogs are definitive hosts of heartworms. But these worms can infect almost 30 different animal species encompassing cats, foxes, coyotes, humans and ferrets. Untreated heartworms live in dogs for almost 5 to 7 years while in cats the duration is 2 to 3 years. There are no symptoms of heartworm disease in the initial stages. But as the disease progresses, most of the dogs start coughing and are not able to tolerate exercising. In the later stages they can collapse and die. It is possible to prevent heartworm disease. There are various options available to dog owners from oral treatments like Sentinel, Revolution, etc. to monthly topical treatments like Revolution. There is also a six monthly injectable treatment known as Proheart 6. Remember, prevention of the disease is far better and cost-effective than cure. Although heartworm disease is treatable, it can be extremely expensive. There is a drug known as Immiticide, an injectable arsenic based compound that is available in short supply. The pre-treatment commences with blood work, urinalysis, and chest radiographs. It is recommended to have heartworm preventive treatment all year round for dogs because it provides an additional cover against heartworm disease. If there has been a gap of more than a month since you have missed out on giving the heartworm preventive treatment, then your pooch can potentially get infected by heartworms. The other reason is that there is a threat of heartworm looming even in the colder months of winter. The third and most important reason is that most of the heartworm preventive treatments also provide additional protection against intestinal parasites if given on a monthly basis. There are certain intestinal parasites that can be contagious to humans too. It is important to test your doggy for heartworm on a yearly basis because the treatment for heartworm is not 100% effective. The other problem is that many dog owners forget to give monthly heartworm preventive treatments to their furry pals. It has been estimated that roughly around 55% of dogs in the USA alone are on some type of heartworm preventive treatment. For more information about heartworm disease, contact your veterinarian today and educate yourself about this dreadful disease. During the cold winter the outdoor activities of the furry pal get minimized. Your doggy might not have the required natural coat to fight the chilly temperature in the outdoors. As human beings, we are not able to gauge the chilliness outside because of the winter wear clothes that we wear. While walking on the road we have sufficient covering to protect us from the chilly weather. But the one thing that we forget is that our doggies do not have the luxury and adequate protection that we have. But nowadays there are certain winter clothing that you can get for your doggy that can protect him from the cold. Before winter starts it is important that you leave the fur of the doggy as it is. Because it is the natural way to fight the cold. Even if you keep the coat long during winters, the little convenience of seeing loose hairs in the house is much better than to let your doggy suffer in the cold. Never over trim the fur. You can get a small vacuum for your furry pal if you are concerned about loose hair of the doggy. After bathing the dog, it is very important to dry him off completely, especially during winters. Never keep the dog near a standing fan after the bath as it can surely make him sick. It also seems to be the most inhumane thing that you can ever do to your furry pal. Instead of this, use one of the best dryers for your doggy. You can get one of these products online at reasonable price. During winters, your doggy will need regular meals. Remember, eating and digesting the food generates heat internally, which can keep your doggy warm during the cold weather. But never ever overfeed your pooch. This is one of the common errors made by dog owners. They are under the misconception that overfeeding the pooch will let their furry pal gain more immunity against cold. But the hard truth is that it can be very detrimental to their health. It can make your pooch bulky resulting in numerous diseases like diabetes and arthritis. You can take the advantage of the advanced technology and get winter specific products like heated dog houses or heated dog beds. You can also bring authentic winter care grooming, health supplements as well as dog supplies products for your pooch. These products will keep your tyke warm during the chilly weather. So, how do you plan to keep your pooch warm during winters? The dog’s ears are the most fascinating things in their anatomy. They are attuned to everything around them. These ears can also harbor bacteria and other organisms that can be painful and aggravating. These are just early symptoms. The most prominent reaction of dog owners when they see these signs in their dogs is to go straight to the veterinarian. The veterinarian would suggest drops, antibiotics and/or steroids to relieve the pet. But it can even be due to a deeper systematic imbalance. If that is the case the signs may become chronic that keep repeating. It has been researched and found that dogs do not require carbs in their diet. But still there are certain commercial kibbles that contain a high proportion of carbohydrates. In case, your pooch is prone to yeast overgrowth it can propel the problem into overdrive. You can try for grain-free whole-food based brands or a reputable raw brand. There are times when the dog’s body can react to an environmental overload of toxins. So, in case the skin of the furry pal’s ears is looking angry-looking, you need to look for the detergents, household cleaners, and sprays that you use. Then look at the number of vaccinations given to your pup in the last few months. You can even switch product brands and investigate three-year vaccines to reduce the overload. If your pet is suffering from itchy or aromatic ears then you can go for an antibiotic free solution that has antibacterial, anti-fungal and anti-viral effect. Try dampening a small piece of gauze that can ease the chronic ear discomfort. Each day dampen a small piece of gauze with Witch Hazel and smoothly swab the inner-ear rim area. Then integrate a drop of pure safflower or grapeseed oil to the edge of the ear canal. Gently rub to distribute the drops. Visit your veterinarian to rule out a bacterial infection. If itchiness is the problem, you can use an antiseptic ear drops along with two drops of tea tree oil. Employ clean gauze and clean the inner ears once or twice everyday. Dogs are one of the most loved pets in America. One of the major reasons for that is with approximately 70 million homes in the country you will find a dog in almost every city of USA, America. But there are certain places that are more dog-friendly than others. Let us now look at some of the places in USA that are considered to be a dog lover’s Eden. If your doggy loves to hike, this place is heaven for him. The area is covered with lots of amazing trials which welcome well-trained off-leash dogs. The Watering Bowl is considered to be one of the best bars for dogs. It is a place where you can enjoy an adult beverage and tasty snack while your furry pal romps across the pub that is 7000 sq. feet of fully fenced private dog park. Centennial Park is one of the best destinations in Nashville tailor-made for dogs to explore off-leash area and a replica of the Greek Parthenon which would make your doggy burn the steam. There are lots of events that are organized throughout the year including movie, dog-friendly music and art events. Texas is one of the favorite destinations for dogs. In Dallas, you will see McKinney Avenue Trolley, which would welcome dogs and transport you and your furry pal in a trolley car from the 20th century. You can even go to Katy Trial that would make your furry pal run through the Uptown and Oak Lawn part of the town. Not to forget Katy Trail Ice House serves burger and a beer on top of fresh water for your Fido. The sin city is one of the most dog-friendly cities in USA. The Sunset Park dog area contains a fenced play area for large and small dogs. There are beautiful hiking trails and wildlife to enjoy at the Lake Mead National Recreation Area. Enjoy the strip and take your leashed dog along. It would be a perfect way to enjoy the stay in this amazing destination. 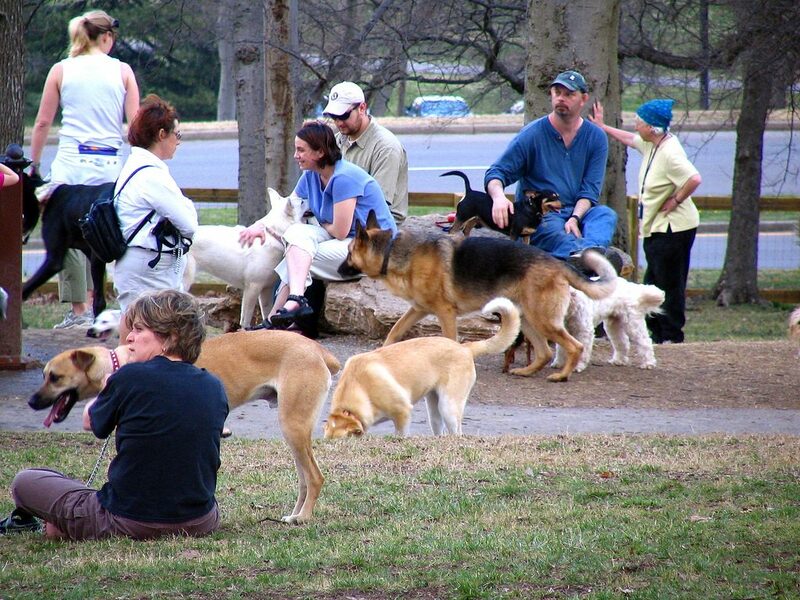 Piedmont Park, a beautiful 3 acre dog park located in Atlanta is the perfect spot for a 5k run and doggy splash. Try to schedule your visit during the annual “Bark in the Park” ballgame that is organized for well-behaved dogs and their people. New York is one of the prime locations to enjoy dog-friendly spots. Go to Fred’s, a cozy neighborhood bar and restaurant that features a dog portrait on the walls, a dog-friendly patio where you and your furry pal can enjoy a sunny afternoon. You can even go to Central Park, where you and your furry pal can have a blast exploring on and off-leash. If you are a shopaholic then you can visit Wag Wear, a chic dog boutique. So, where are you visiting with your furry pal? This extended holiday season is your perfect chance to take your kitty on a long road trip. Although these road trips can be a total blast they can also be pretty long. Hence, you would need to look for some entertainment to pass your time. It has mostly been found that games are the best ways to pass your time during road trips. It not only keeps everyone engaged, but also makes the ride enjoyable. Just imagine if you had two kitties and they were to go on a road trip together the kind of games that they would play. Who Can Stay Quietest For Longest? This is a great game that we used to play when we were kids. We used to chat a lot which used to create an obligatory infighting between us. This can be very irritating for the person watching us. Then they used to play this game “Who can stay quietest for longest”. This way they used to get peace and quietness. This can be even more challenging for cats. The reason for that is cats start to sing as soon as the engine starts and stop only when the destination is arrived. As a driver of a car riding kitties this is the best possible game to play. Cats have the habit of falling asleep whenever possible. This is even more of a probability during road trips. At sleepovers, you can ask one of the kitties to play jokes on the first one who crashes. Then she would play some tricks like flipping the sleeper’s ears inside-out or dipping her paw in the water. This one is all about counting the number of models of cars found on the highway. Cats would certainly love to play the game with the car model’s name. But there would be a twist. They would look for cars having animals for the car model’s name. They would get double points if the animal is a cat or a dog. This will not only keep the kitty busy, but also avoid being a prank victim. Road trip bingo has been one of the favorite games for kids during road trips. You can even create your own style of bingo cards online or create one on your own. The squares include road signs, kinds of vehicles, truck stops and farm animals. This game is a great way to pass time during a road trip. It would be a great fun to see your kitty creating her own bingo cards. They may include their favorite “I Spy” objects that they would see on the side of the road. It would include different types of rodents, birds, discarded shoes, piles of sands and plants. While going for a road trip with your furry pal ensure that you take along with you essential pet care supplies and first aid kit so that your pet remains safe and healthy. So, which road trip game would your kitty play?